The Earth and Venus, although not very different in size, have had a very different climate history. In the future, the Earth may look like Venus. Earth's place in the solar system is just right. It's not too hot, like Venus, and it's not too cold, like Mars, and this "Goldilocks zone" of habitability around other stars like the sun just might be bigger than thought, scientists say. A new study, unveiled today (Dec. 11), expands the habitable zone — the sweet spot in a solar system where liquid water and therefore life could potentially exist — surrounding stars like the sun. The study in the journal Nature, led by Jeremy Leconte, now a postdoc at the Canadian Institute for Theoretical Astrophysics of the University of Toronto, used 3D computer modeling to find that the runaway greenhouse effect isn't an issue unless the planet is less than 0.95 AU from its star. The new inner boundary for habitable zones might not make a big difference for scientists trying to determine if an alien planet is habitable, but it does make a big difference for future life on Earth, Leconte said. Eventually, the sun will become brighter, heating the Earth and potentially creating a runaway greenhouse effect — a feedback loop that eventually causes a planet's oceans to boil away. But that eventuality is long way off, and it may now actually be farther off than previously expected, Leconte suggests. "For example, if we believe that the limit is at 0.99, it means that Earth would start losing oceans around 150 million years from now," Leconte told SPACE.com. "Now, with our new estimate, it's not 150 million years, but it's actually 1 billion years, so almost an order of magnitude bigger." Unlike previous one-dimensional studies, the new modeling takes clouds and circulation into account, jputting the inner edge of the habitable zone closer to a star. This buys Earth a little more time, although the planet is still quite close to the near end of the habitable zone. "From the perspective of the Earth, this is a big change, and it's because the Earth is thought to be quite close to the inner edge," Leconte, who conducted this research while at the Intitut Pierre- Simon Laplace in Paris, said. "We now find that it's not that close. It's still very close into the habitable zone compared to what could be other planets we see out there." Leconte did use climate data collected for Earth science in the model, but he took out some of the more specific information to create a general model for rocky planets circling sunlike stars. At around 1 billion years in the future, the sun will cause Earth's oceans to boil from the runaway greenhouse effect. That temperature rise is depicted in this series of global maps. The new model could help scientists more fully understand what constitutes a habitable alien planet as well. Although the size of the habitable zone calculated by Leconte is larger than other estimates in the past, it is also much smaller than more recent estimates used to analyze data from the alien- planet-hunting Kepler space telescope. Earlier this year, scientists using the Kepler data estimated that 22 percent of sunlike stars may harbor a rocky planet in their habitable zones, however, the research team used a broad definition for the habitable zone, marking the inner edge at 0.5 AU, James Kasting, a professor of geosciences at the University of Pennsylvania, said. "If you take the Petigura analysis [Kepler-based study] at face value, their number might be too high by a factor of two," Kasting, who wrote a News & Views piece about Leconte's study in this week's Nature, told SPACE.com. Leconte's new work does help constrain the habitable zone around sunlike stars, but it could also have a bearing on the Goldilocks zones around other, dimmer stars. 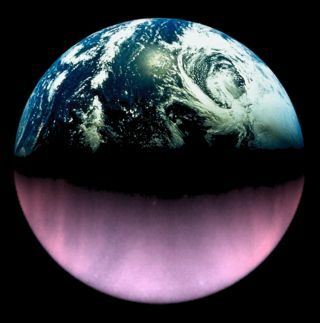 Scientists hope to use 3D modeling in the future to understand how a rocky planet around a dim star could fare as well. By applying the cutting-edge form of modeling to Venus during the earlier days of the solar system, scientists may catch a glimpse of what a rocky planet around a dim star could be like. When the sun was younger, it was also smaller and dimmer, therefore it's possible that Venus harbored liquid oceans that evaporated as the sun aged and grew brighter. Leconte has done some initial modeling to investigate these ideas, however, he hasn't found anything conclusive yet.